As part of releasing a new design and search options last week, Google also added a new search filter named “sites with images” this week that it has spotlighted on the Google Blog. 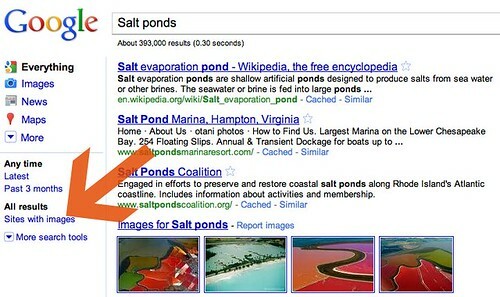 To activate the search filter, conduct an image related search at Google, and then click on the link under “All results” named “Sites with images. To see it yourself, click here.